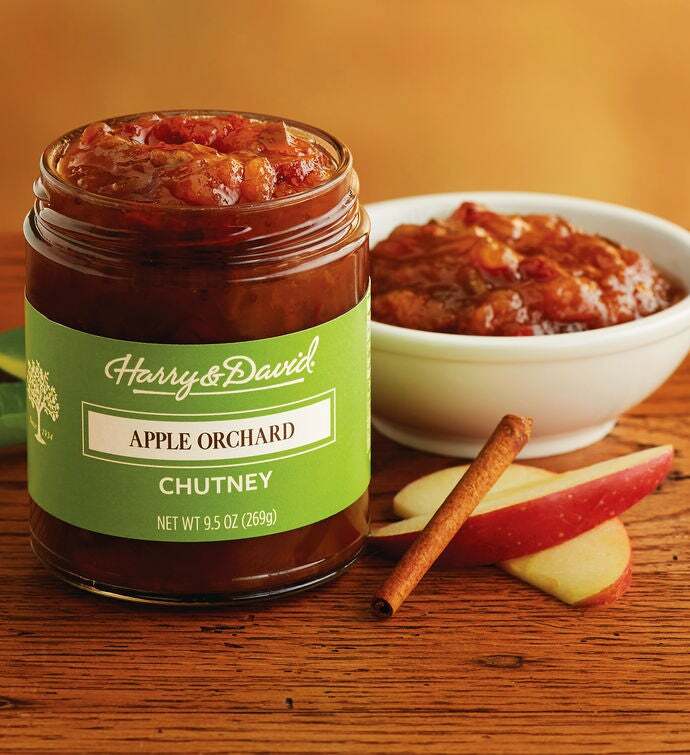 Savor the rich flavors of fall year-round with this apple chutney, which is spiced with brown sugar, nutmeg, and cinnamon. Golden raisins and tart-sweet cranberries complement savory jalapeños, bell peppers, onions, and a touch of vinegar. Part of our assortment of gourmet sauces and condiments, this sweet chutney brings a taste of the orchard into your home.